Come and celebrate your special events of the year, with menus specifically created for the occasion! You are welcome to join us for the end-of-year celebrations as well as for Valentine's day and July 14. Stay in touch and follow us on Facebook. Surprise them with a Brasserie gift card. On the 1st floor, the Brasserie can accommodate up to 120 people. Look up and contemplate the magnificent wooden structure from the 18th century. This space is available if you want to organize private events and banquets. If you look for a cozy space, the architectural yurt welcomes you in an elegant and warm atmosphere. The high leather framework is inspired from a horse saddle. It can be converted into a private lounge for your special events. Located right under the spectacular stairs, enjoy our lounge bar and indulge yourself with the 120 wines available, with a cocktail freshly prepared by our chef bartender Guillaume Zehnacker or with a large choice of whiskies, rhums, and brandies. Comfortably seated in an armchair or standing at the counter, you can also enjoy a selection of Tapas, directly inspired from the brasserie restaurant dishes. Looking out onto the majestic patio, paved with Rhine river pebbles, the Terrace can accommodate up to 100 people and can be booked for private events and receptions. The former national stud farm of Strasbourg, which was built in the 18th century, is an outstanding piece of architecture, the front of the building, the roof, the monumental gate, as well as the main stable, are all classified as historical monuments. The building became the headquarters of the city’s horse riding academy in 1752, and in 1756 it became the home of the Royal Stud Farm under the authority of Marquis d’Argenson, who was head of the kingdom’s stud farms. During the French revolution, the horseriding school disappeared. It is only under Napoleon I that the school came back to life before disappearing once again in 1823. Les Haras Brasserie was rated "Excellent" by 316 travellers. the**** hotel welcomes you, with 55 rooms,and in a very design setting, inspired by the universe of horses. 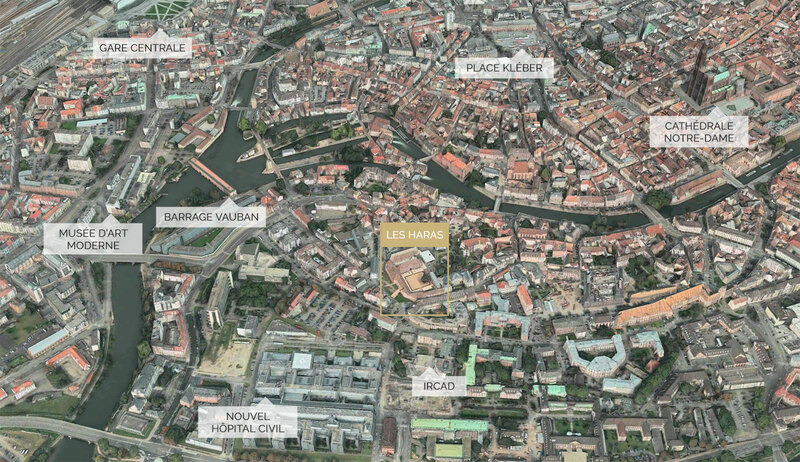 Established in the former riding stables of Les Haras, the Biocluster is accommodating innovative start-up companies and offers you the opportunity to organize conferences, seminars and events in a unique setting in Strasbourg. Thank you, the form has been sent.